To read about the origins of Heikkila’s interest in the war and its women veterans, click here. 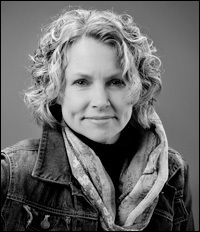 Kim Heikkila earned her Ph.D. in American Studies, with a minor in Feminist Studies, from the University of Minnesota in 2002. Her dissertation, G.I. Gender: Vietnam War-Era Women Veterans and U.S. Citizenship, was based on interviews with twenty women Vietnam veterans, both nurses and enlisted and line officer women, from across the country. After completing graduate school, Heikkila began an oral history project for the Minnesota Historical Society (MHS) that focused on nurses who had served in the war. She conducted fifteen oral history interviews for this project; they are now available in the Oral History collection at the MHS. These interviews became the basis of Sisterhood of War. Heikkila currently teaches courses on the war, the sixties, women’s history, and U.S. history at St. Catherine University in St. Paul. She has taught history and sociology courses at a number of other local colleges and universities, as well. For several years, she taught a course on the war at Anoka Ramsey Community College, in which she trained all of her students to do oral history interviews with Vietnam veterans for the Library of Congress’ Veterans History Project. In 2006, the Oral History Association awarded her its Postsecondary Teaching Award for these efforts. Heikkila’s oral history work with women Vietnam veterans has earned the support of the University of Minnesota, the P.E.O. Sisterhood, the National Women’s Studies Association, and the Woodrow Wilson National Fellowship Foundation. In 2000, she participated in Columbia University’s Oral History Summer Institute. In 2005, she was a fellow in the National Endowment for the Humanities Summer Seminar on the Vietnam War. Heikkila lives in St. Paul, Minnesota, with her husband and son.